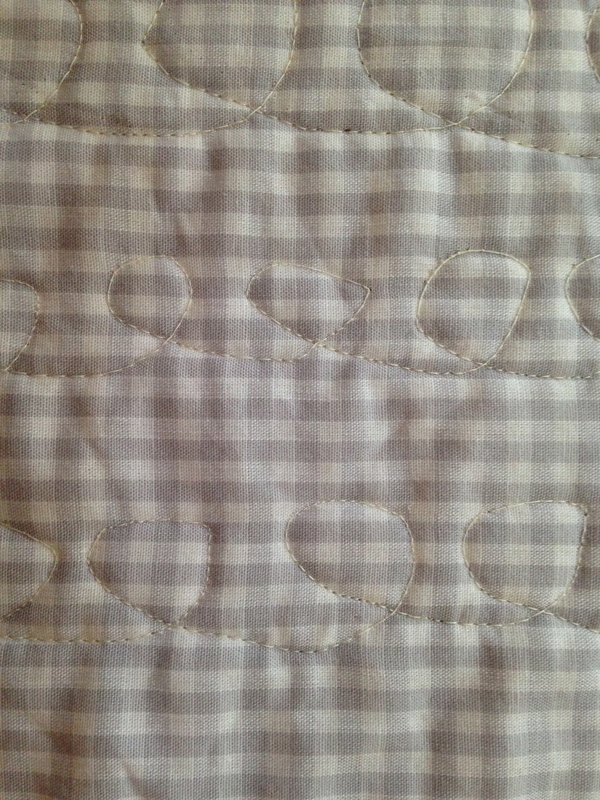 I just finished this simple top for a baby quilt and I was wondering if it might be a good candidate for free motion quilting. 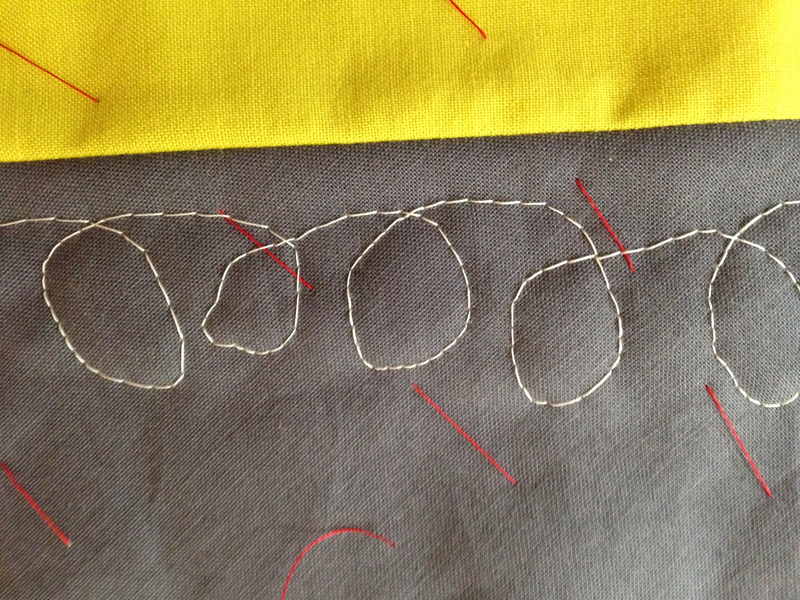 I am pretty much a straight-line quilter, and my go-to pattern is a grid of two-inch spaced diagonal lines. I don’t think I’ll ever get tired of its clean and simple geometry, but I thought that this quilt’s design might need something a little more free form. 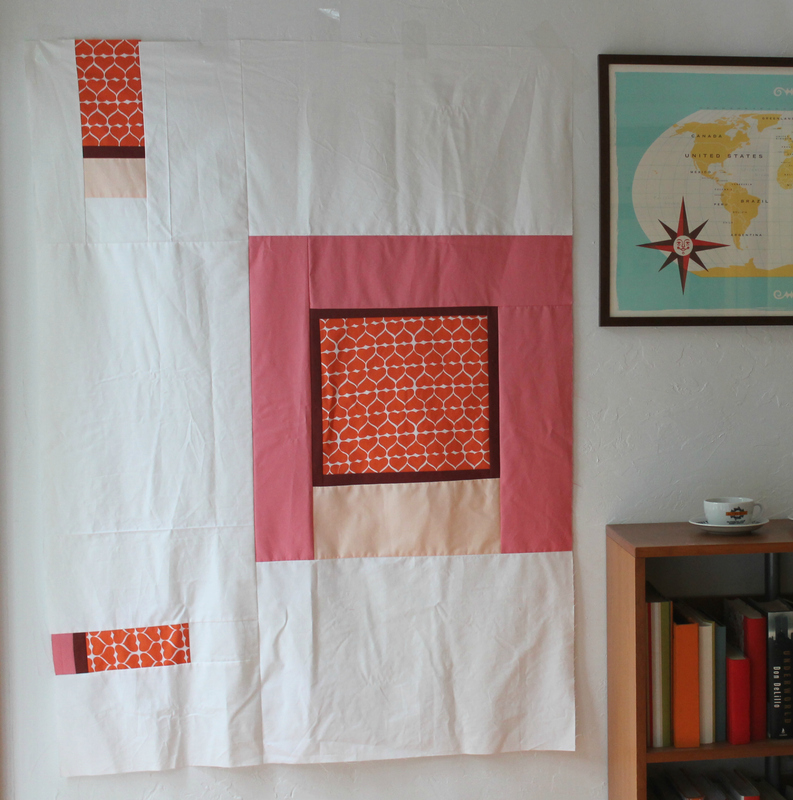 I read a brief tutorial about free motion quilting on Oh, Fransson! with just enough information to make me think, hey, I can probably do this. (I am a little bit “less is more” when it comes to tutorials.) I made a test scrap, and tried my hand at some loops. My first attempt was not so good. It didn’t look horrible from the top, but the back looked like cartoon eyes with long lashes. Slight problem with the tension! The only plus was that my first attempt was very easy to unpick. My next attempt went much better. I increased my tension to 2, even though the tutorial suggested setting the tension to 0; this worked better for me. 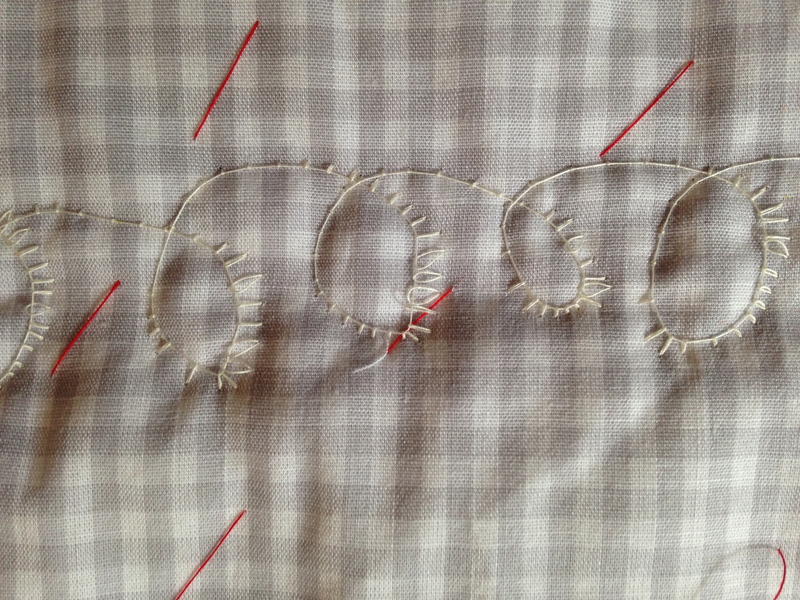 And I got more used to moving the fabric at an even rhythm. Even the back was not too shabby–no more creepy eyes peering out from the back of the quilt! I am pretty sure that my free motion quilting is not ready for prime time, and I don’t think I’m ready to give up my neat and tidy grids. But, it was great to try something new, and I’ll definitely practice some more on little projects. So, one day when I’m feeling a little loopy, I’ll be ready for it! 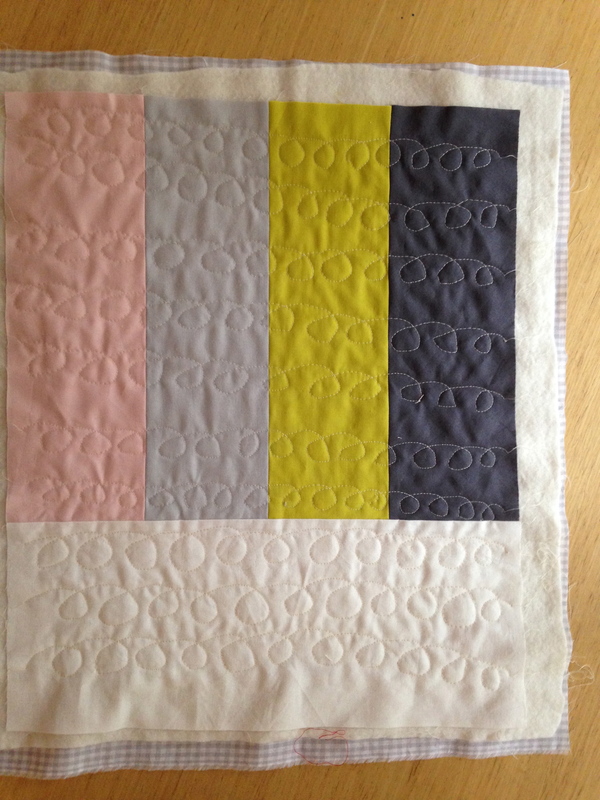 This entry was posted in quilts, Skillful Sunday and tagged free motion quilting, modern baby quilt, skillful Sunday on September 8, 2014 by brigitdermott. Thanks for the encouragement! I definitely plan to practice on some small projects until I get a little more proficient–but I can see why people love FMQ. There is so much room for creativity!